The Western Australian Middle Eastern Dance (WAMED) Festival runs every year over the June long weekend in WA. 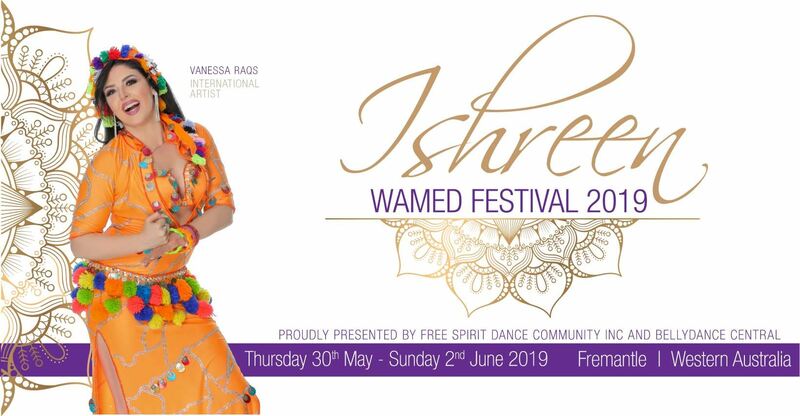 WAMED was founded by Perth's most famous bellydance daughter, Keti Sharif, way back in 2000 and it has undergone many twists, turns and developments since then! The Free Spirit Dance Community Inc is a proud co-owner of the WAMED Festival, in cahoots with our sister-school, Bellydance Central. We are so grateful to all our sponsors, teachers, participants and volunteers in making this the biggest weekend of the WA Dance Year!